Front row from left to right: Caleb Smith, Lancelot Soult, Levi Walk, Adam Daniel. Back row from left to right: Clay Nearhood, Dylan Gilmore, Allen Keith, Jordan Luzier and Keith Billotte, Vision Quality Components. 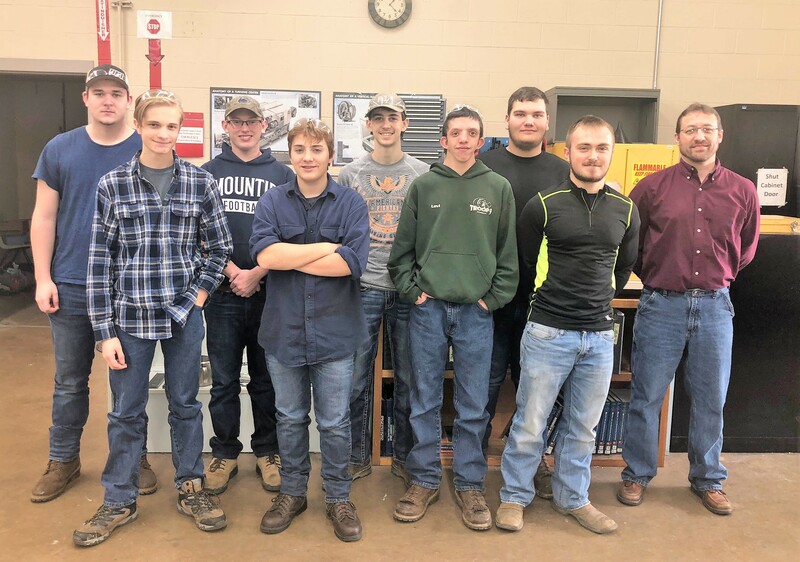 The students in the Precision Machine program at the Clearfield County Career and Technology Center (CCCTC) learned about the many opportunities available at Vision Quality Components. Keith Billotte spoke with the morning and afternoon classes about the process of making parts at their facility. He explained the process control sheets, how the machines turn powder into a part, the importance of doing a job to the best of their ability, and how it can create a safety issue if steps aren’t followed. He told students the field of precision machine is highly sought after. Employers are in desperate need of machinists and are willing to pay if they are willing to learn. Mr. Billotte recommended the students use the skills they are learning right now and taking them further. To learn more about the opportunities at CCCTC, visit us at www.ccctc.edu.